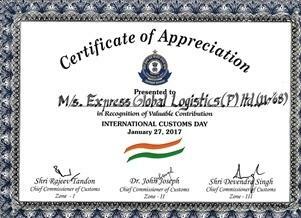 PCN members in India, Express Global Logistics (EXG) have been awarded a Certificate of Appreciation from Indian Customs for their valuable contribution to the customs community. 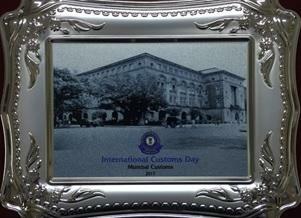 Nandit Dayal at EXG comments; "It is a matter of great pride to receive this Certificate of Appreciation in recognition of our valuable contribution to the customs community on the occasion of International Customs Day 2017". 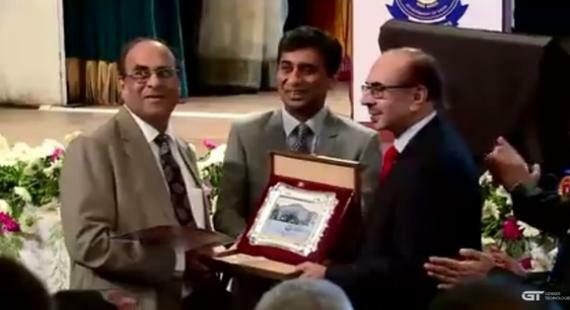 Photographed right is EXG Company Directors, Mr. Vinod Gandhi (L) and Mr. Nailesh Gandhi (centre) receiving the award from Indian industrialist, Mr. Adi Godrej. Express Global Logistics Pvt Ltd (EXG) is an Indian project specialist company established in 1946 with headquarters in Mumbai. It is an asset based company with a pan-India presence backed by its own fleet of Goldhofer hydraulic axles, cranes up to 450tns and warehouses.